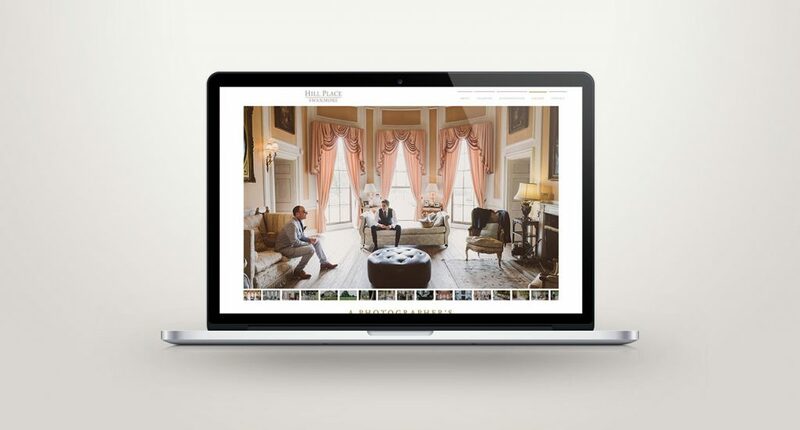 #InTheStudioThisWeek We want to show off the new Hill Place website! We’d love to say it’s just our design that makes it look fabulous, but we have to admit, with such a beautiful location and wonderful professional photography – it’s hard not to look amazing! With so many great images – it certainly was hard for us to narrow down the feature photos. 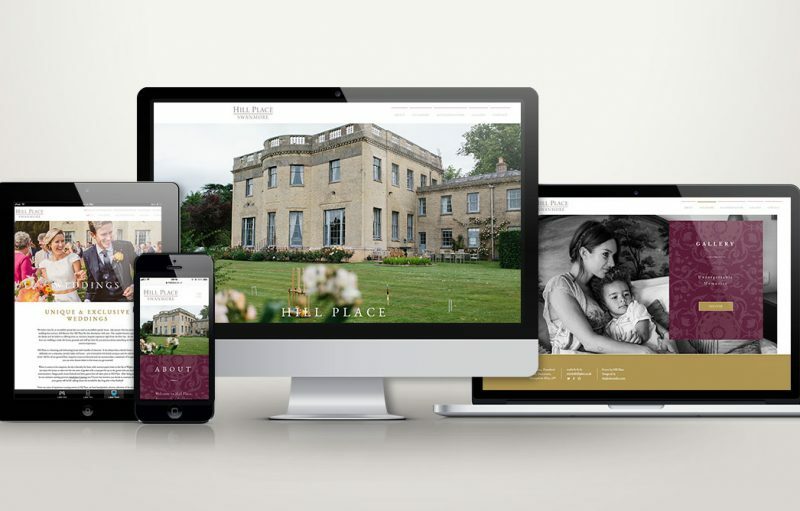 The Hill Place team are lovely to work with and have a real understanding of how they wanted to portray their country home. Glow has worked with Hill Place for many years after they originally appeared on Country House Rescue and we were introduced to Will and Rebecca, the current owners. 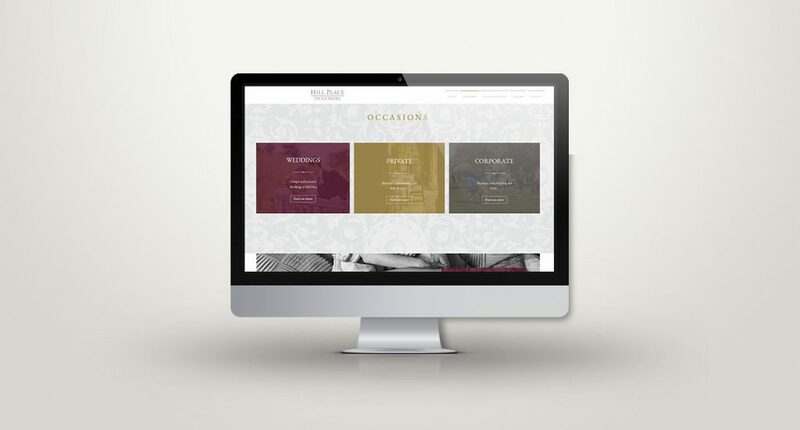 The house and business, with a lot of hard work, has really blossomed, and you can find out more on their new about page! Will inherited Hill Place from his Grandmother in March 2009 and continues his day job running the multi-award winning Hill Farm Juice (see our blog) and Hill Farm Orchards. He is assisted by a great team – his wife, Rebecca, and a team of willing helpers known collectively as Team HP. There’s Ann (Small Piece Catering), Will and Rebecca’s awesome Right Hand Woman and house manager; Sarah and the fantastic team from What Peggy Did Next who will co-ordinate your event or special Hampshire getaway, assisting every step of the way; Tony, gardener extraordinaire; and last but by no means least, the world-famous dogs, Zebedee and Maverick. Do you need a new website? Get in contact – we love a good chat and a cup of tea!